The Internet has become a booming marketplace for so many organisations – public sector, commercial, charity based, single owner to corporate companies. The Internet can get your details onto the web – a shop window to the world. It doesn’t end with a business card on the web – the web can promote your organisation to your clients and general public alike. Whether you want to trade on the internet or have an Intranet for customers – FCL Computing & Software Solutions can provide you with an effective presence across the Internet. Your organisation will be unique to many others and consequently your website could be too. FCL Computing & Software Solutions designs and tailors Web Solutions to meet each customer’s specific requirements. Once you have a great looking and easy to use site, new customers need to be able to find it easily. To this end there are optimisation techniques we use to help move your site to the top of search engines. You can also advertise on the web too, through pay per click campaigns. 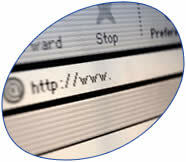 Whatever your web requirements – please contact us to discuss your requirements further. Please contact us now for a free Internet Business Analysis of your requirements.